With the year drawing to a close it's time for the Awards Season to really kick off. In animation terms while the Best Animated Feature Oscar remains a big deal, there's really no bigger night for the industry than The Annies. 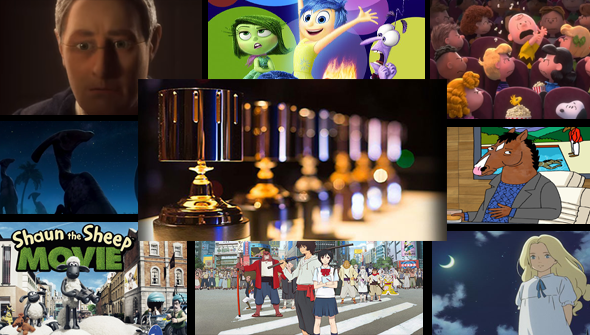 As the biggest and longest established awards focused entirely on animation, they are essentially the 'Oscars of animation''. The event seems to have begun to attract more attention over recent years, receiving more coverage outside animation circles. This year's nominations were announced on December 1st and the winners will be announced on February 6th 2016. The biggest success story this year are Pixar- thanks to having two features in the single year. Between Inside Out, The Good Dinosaur and Sanjay's Super Team the studio are up for a record 25 nominations. However, thanks to competing with themselves in some categories, it's just not possible for them to win them all. 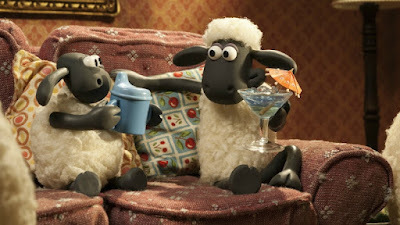 Other big successes are The Peanuts Movie, Anomalisa and Shaun The Sheep The Movie, all of which scored nominations across multiple categories including Best Feature and Feature Direction. The other major Hollywood features Minions, Home and Hotel Transylvania 2 have also received nominations but have had to settle for technical categories. It's good news for independent animation too, with GKIDS releases Boy and The World, The Prophet, Extraordinary Tales and When Marnie Was There each scoring multiple nods. 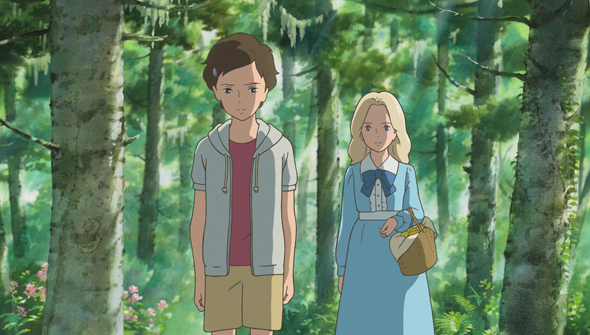 Interestingly, this year a 'Best Independent Feature' category has been introduced, with Boy and The World, Marnie, The Prophet and Mamoru Hosoda's Boy and The Beast the inaugural nominees. In television favourites such as Gravity Falls, Wander Over Yonder, Adventure Time and Steven Universe all scored nominations. In the adult animation side of things, established names such as The Simpsons and Bob's Burgers are joined by newer shows Bojack Horseman and Moonbeam City. This year's Juried awards include Studio Ghibli legend Isao Takahata. We're also delighted to see Cartoon Saloon are in the mix too, with Puffin Rock winning nominations too. The full list of nominations are below.